The Snapdragon 845 powered Vivo NEX smartphone was unveiled in June. Like its sibling brand Oppo, Vivo had focused on selling mid-range phones in the past few years. However, this year, Vivo had launched the Vivo NEX with advanced specs and features like SD845, pop-up selfie camera and under-display fingerprint reader. A smartphone named as “Vivo 1805” has appeared on Geekbench with Snapdragon 845. Could it be another Vivo phone with the highly potent Qualcomm chip? The Vivo 1805’s Geekbench listing shows that it has scored 2,433 and 8,954 points in single-core and multi-core tests respectively. The handset is driven by Snapdragon 845 chipset and 8 GB of RAM. It is preinstalled with Android 8.1 Oreo. There is no confirmation on whether the Vivo 1805 is the very same Vivo NEX phone or another SD845 SoC powered phone. The Vivo 1805 was recently certified along with Vivo 1809 smartphone recently by the EAU certification. This suggests that the arrival of the Vivo 1805 flagship phone could be drawing near. 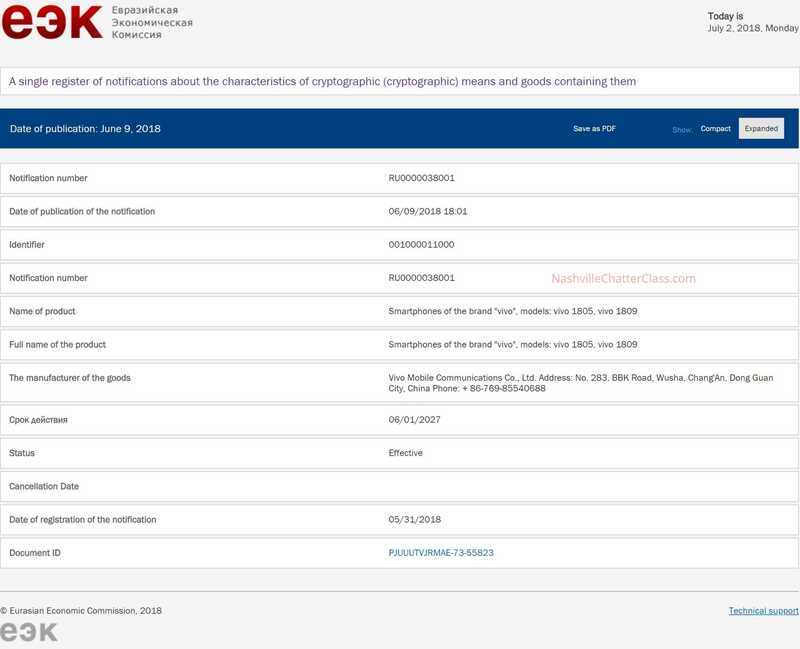 The EAU certification also hints that the Vivo 1805 could be the European version of the Vivo NEX phone. It is advisable to wait for further reports to confirm on the exact product name of the Vivo 1805. 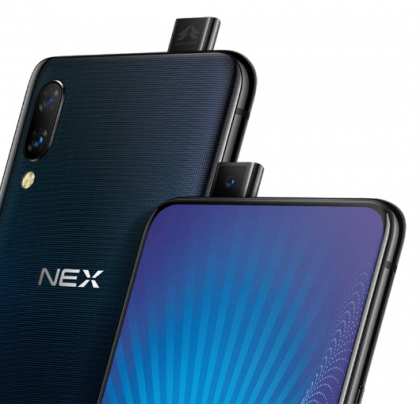 The Vivo NEX includes an impressive smartphone that features a 6.59-inch S-AMOLED display that supports FHD+ resolution of 2316 x 1080 pixels. The handset comes in storage options like 128 GB and 256 GB. It is preinstalled with Android 8.1 Oreo. It receives power from 4,000mAh battery. One of the USPs of the Vivo NEX phone is that it features a pop-up selfie camera of 8-megapixel. The backside of the phone is fitted with a pair of 12-megapixel snappers.